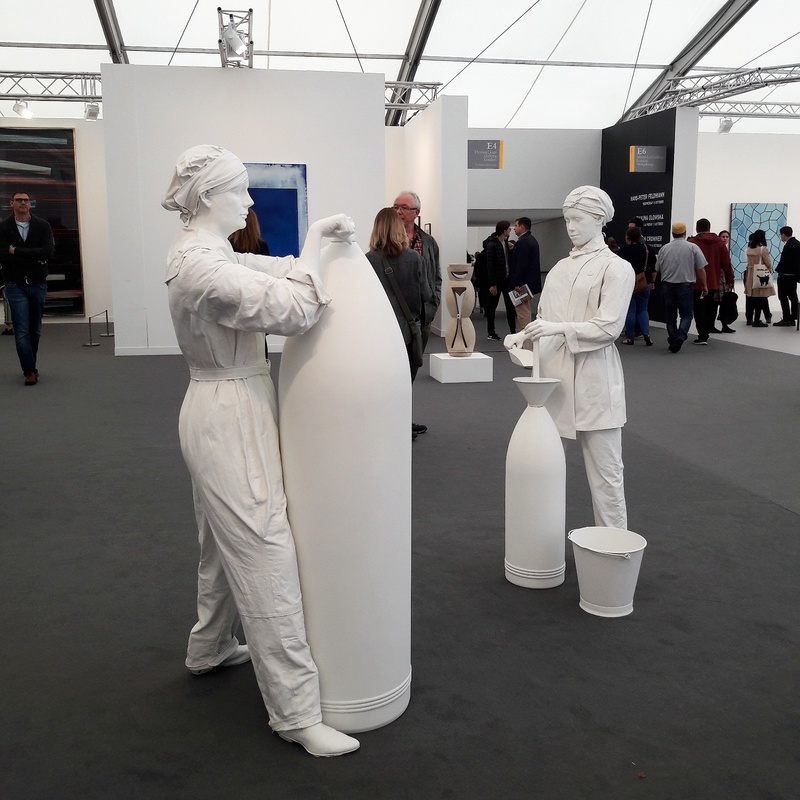 Yesterday I went to visit the 2016 edition of Frieze London with conceptual artist Anna Fafaliou. After years visiting art fairs, I noticed that having good fair companions is very important as you are more likely to learn new things while having a good time walking around the 160 booths that took place in Regent Park. 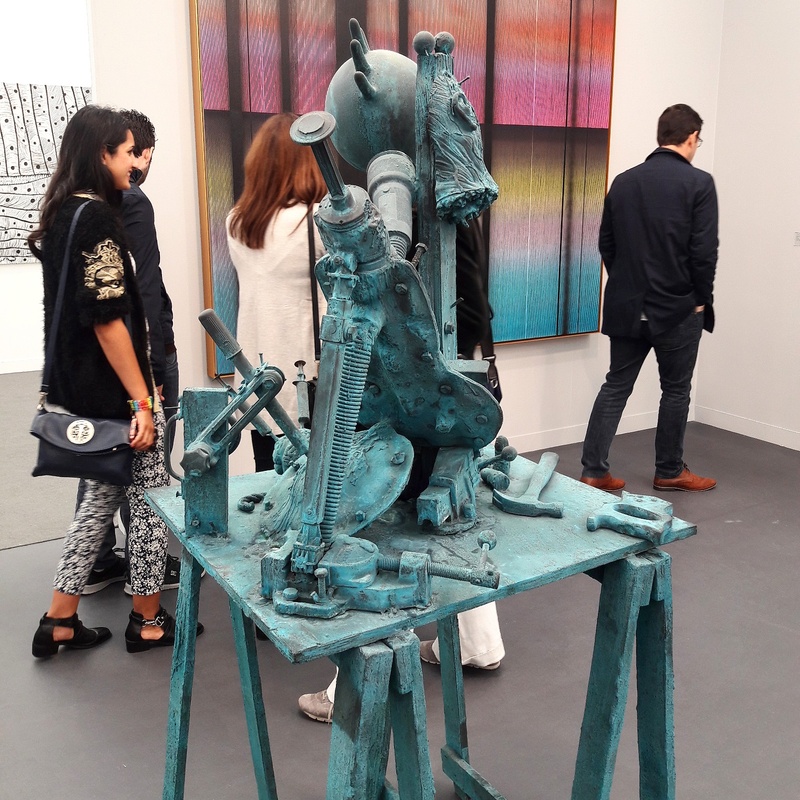 Just in case you’ve been living in a cave for the last few years, Frieze London is one of the most important international contemporary art fair on the planet, and managed after “only” 14 years of existence to impose to the British capital what is now commonly call “Frieze Week. 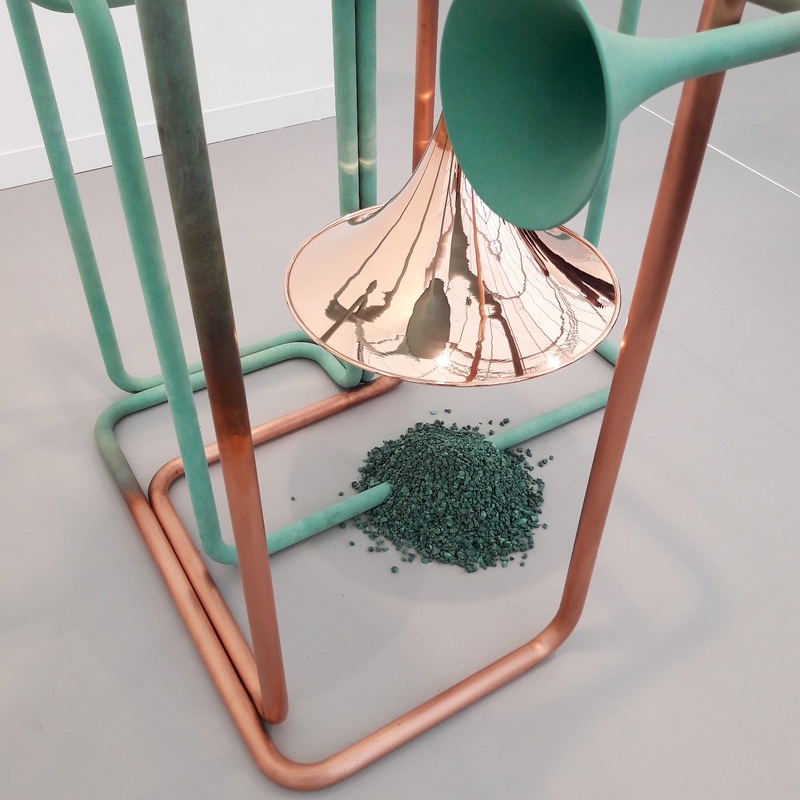 Created by Amanda Sharp and Matthew Slotover, the publishers of Frieze Magazine, the fair gives you a good feel of the art market and of what’s hot at the moment. 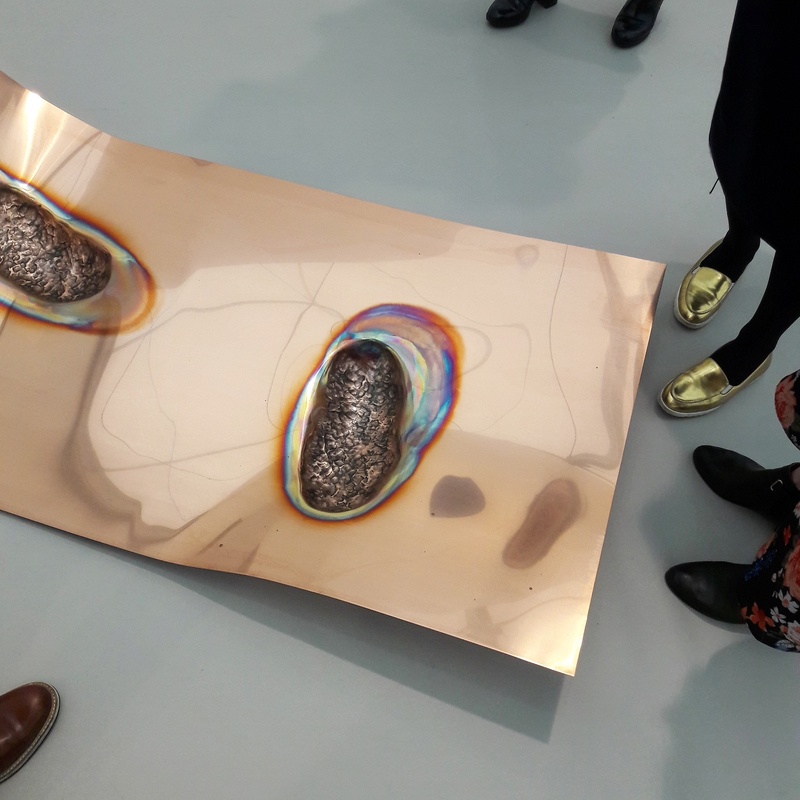 I was a bit underwhelmed by this year edition, maybe because after a year in London spending a lot of time in galleries and museums I had a feeling of déjà vu. 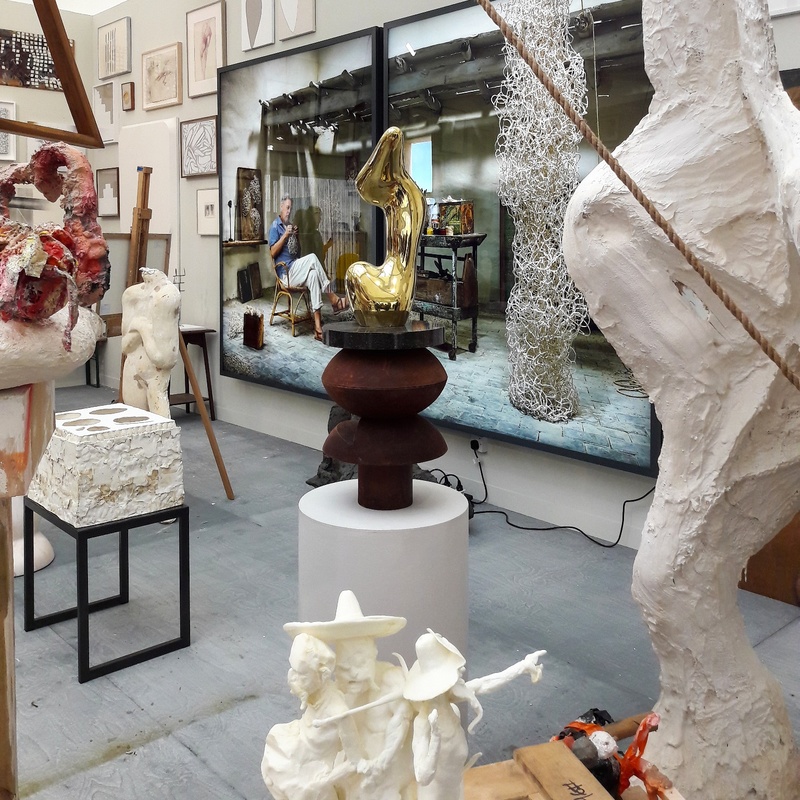 Hauser & Wirth booth was probably my favourite as they really offered us something different as they turned their booth into a fictional artist studio featuring the works of 47 different artists. The other highlight for me was Marianne Boesky booth featuring a statement installation by the Belgian artist Hans Op de Beeck called the “The Silent Library”. 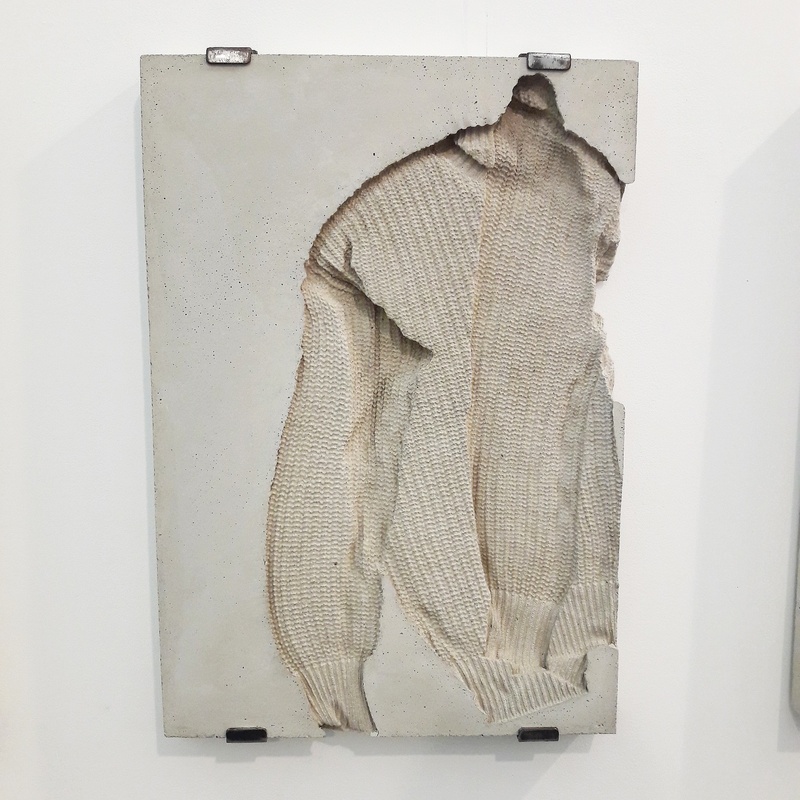 In terms of new discovery for me, I had a big crush for Marie Lund’s Torso series in concrete and cotton at Laura Bartlett booth. I wanted to share with you the fair in pictures, I snapped around all day as you can imagine so here are few shoots of some of my highlights. Melik Ohanian at Chantal Crousel’s booth. Marie Lund at Laura Bartlett’s booth. 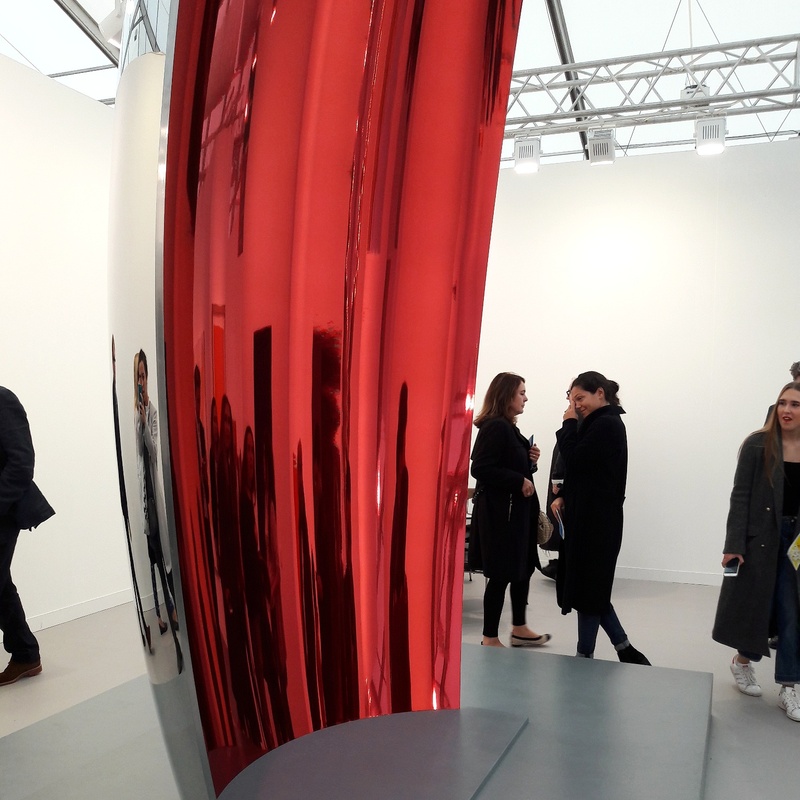 Anish Kapoor at Lisson Gallery’s booth. 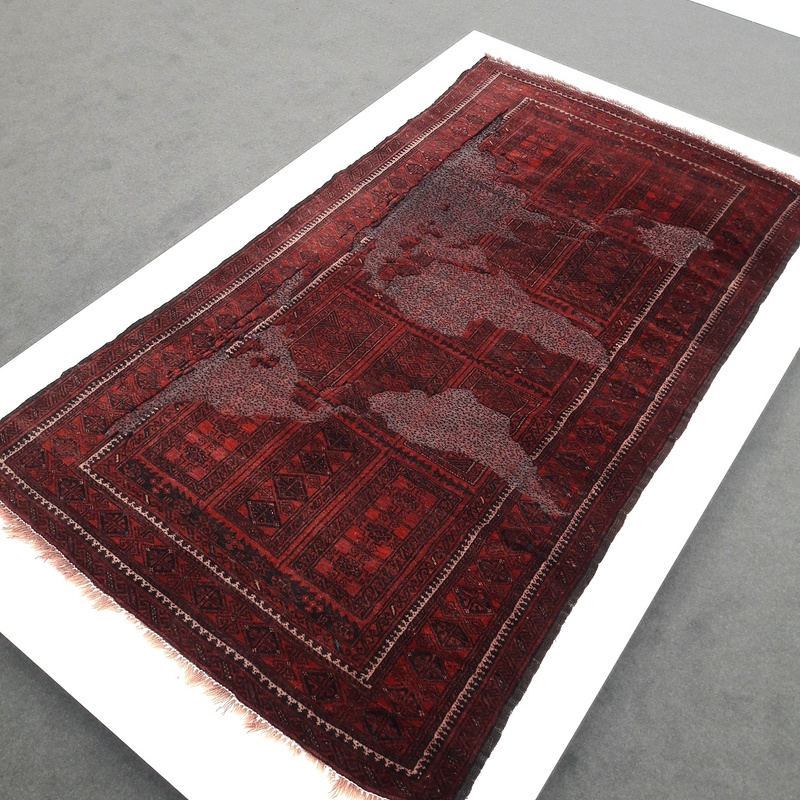 Mona Hatoum at Chantal Crousel’s booth. 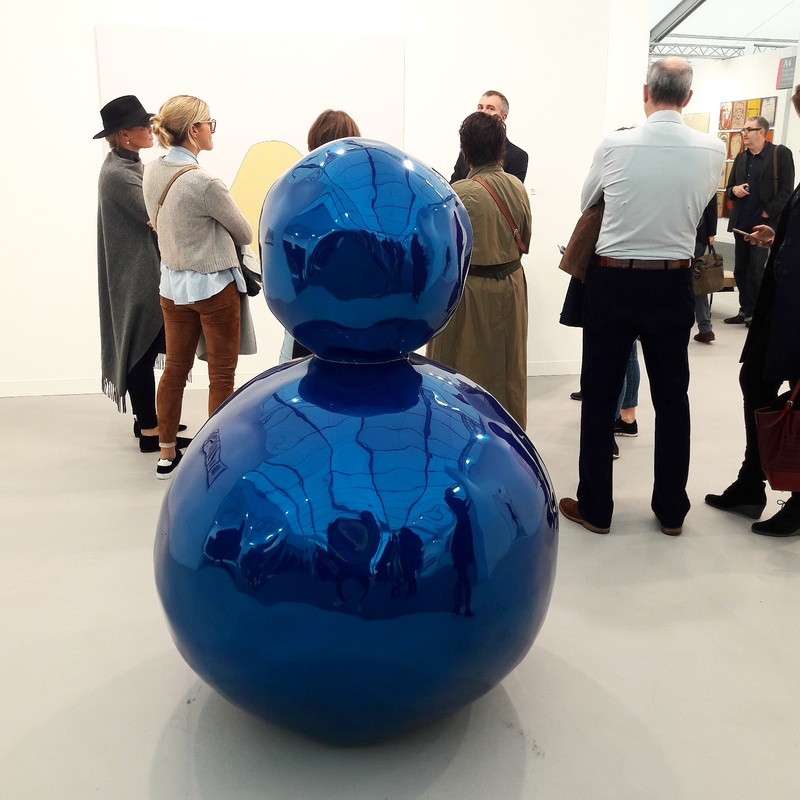 Gregor Hildbrandt & Jeff Koons at Almine Rech’s booth. 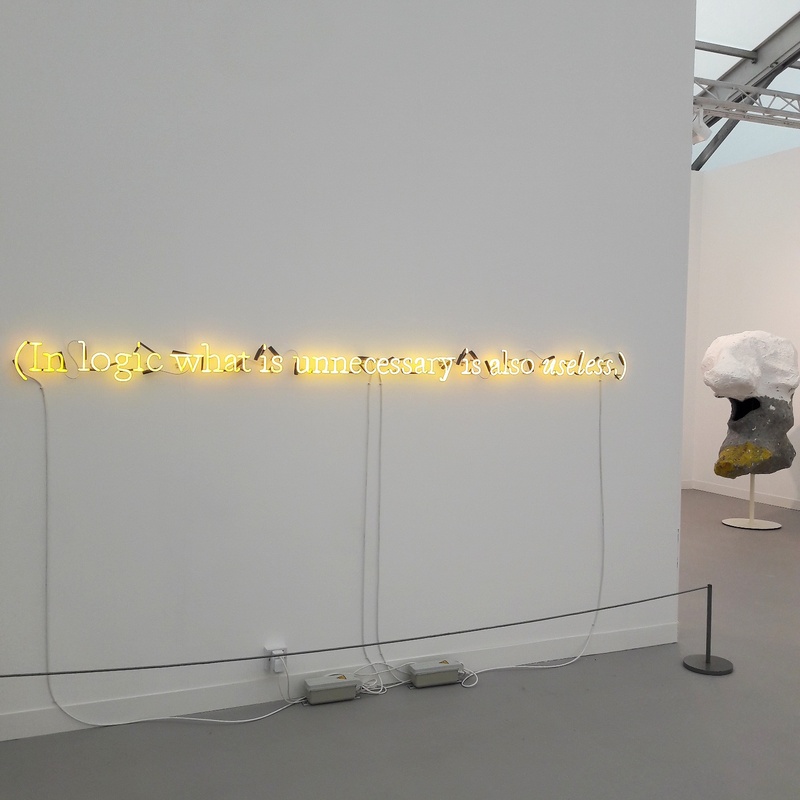 Joseph Kosuth at Almine Rech’s booth. 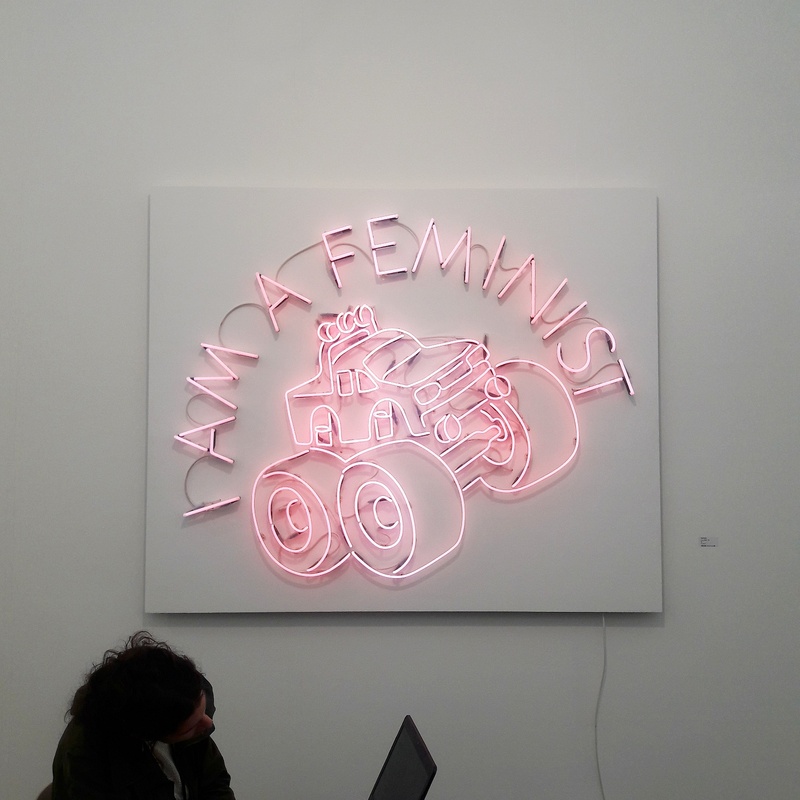 Yael Bartana at Sommer Gallery’s booth. Mladen Stilinovic at Martin Janda Gallery’s booth. 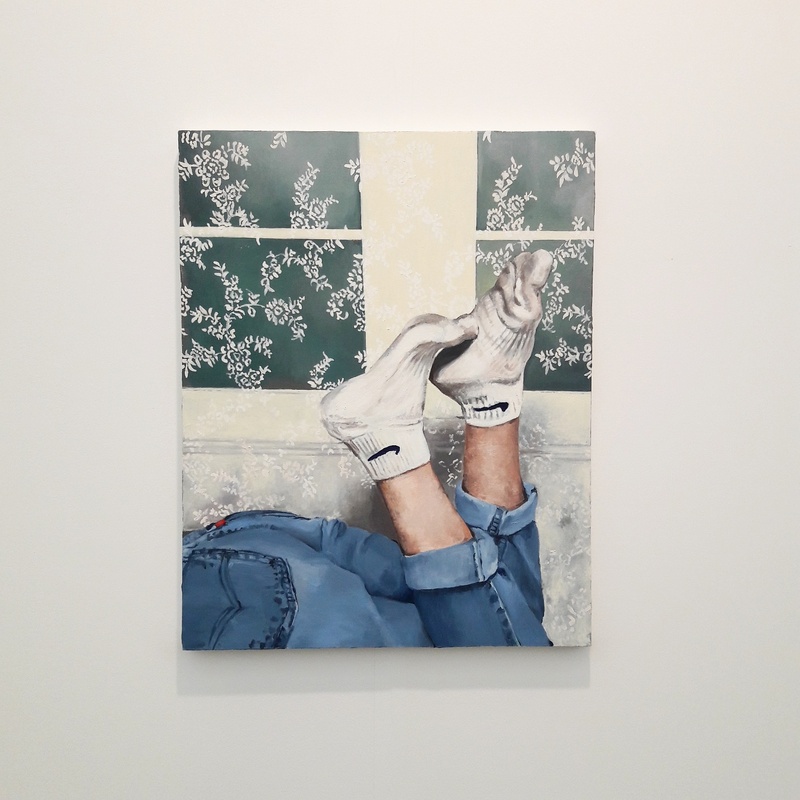 Alicja Kwade at 303 Gallery’sbooth. 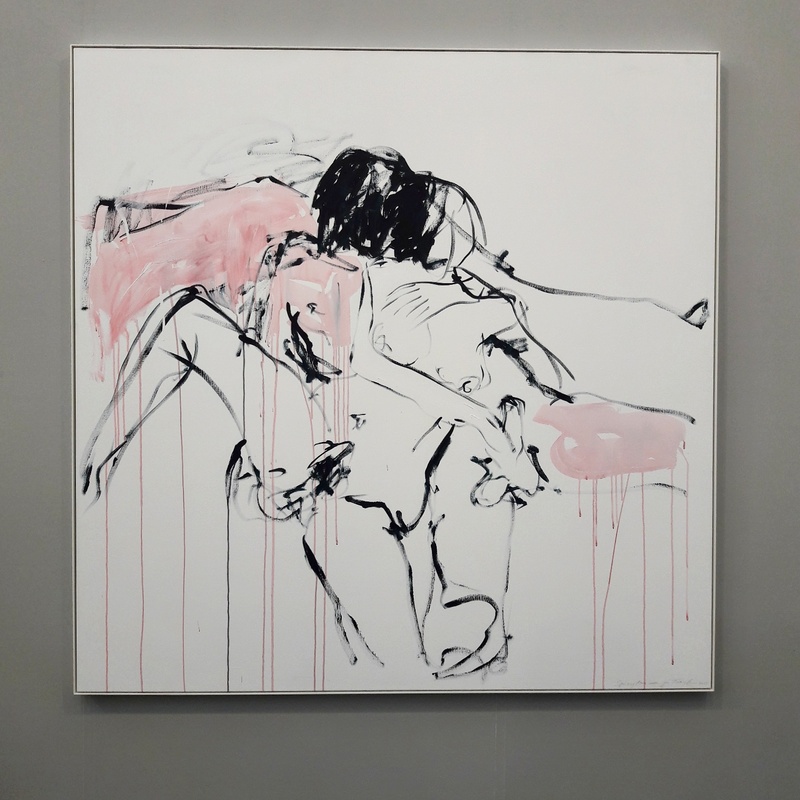 Tracey Emin at White Cube’s booth. Nolan Simon at 47 Canal’s booth. Samara Golden at CANADA’s booth. 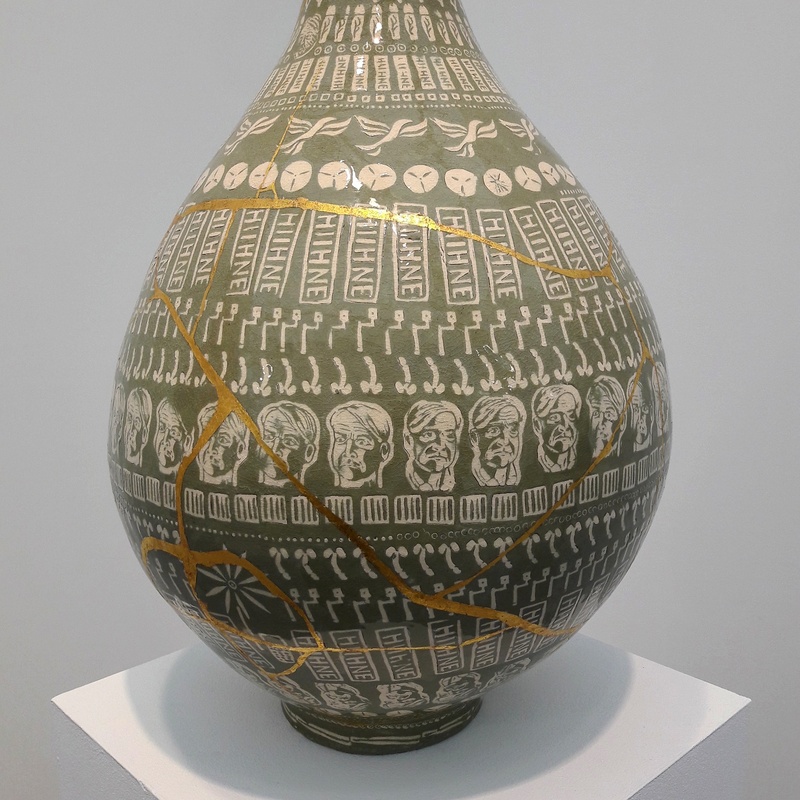 Grayson Perry at Victoria Miro’s booth. Love your choices, I was there on Friday and really enjoyed the fair this year. More minimal and sober than usual. Really liked Almine Rech booth . More minimal fir sure, a lot of white right? J’aurais tellement aimé venir, t’as beaucoup de chance de vive à Londres, ca fait rêver. Merci de partager tout ca avec nous. Avec grand plaisir, merci de me lire! 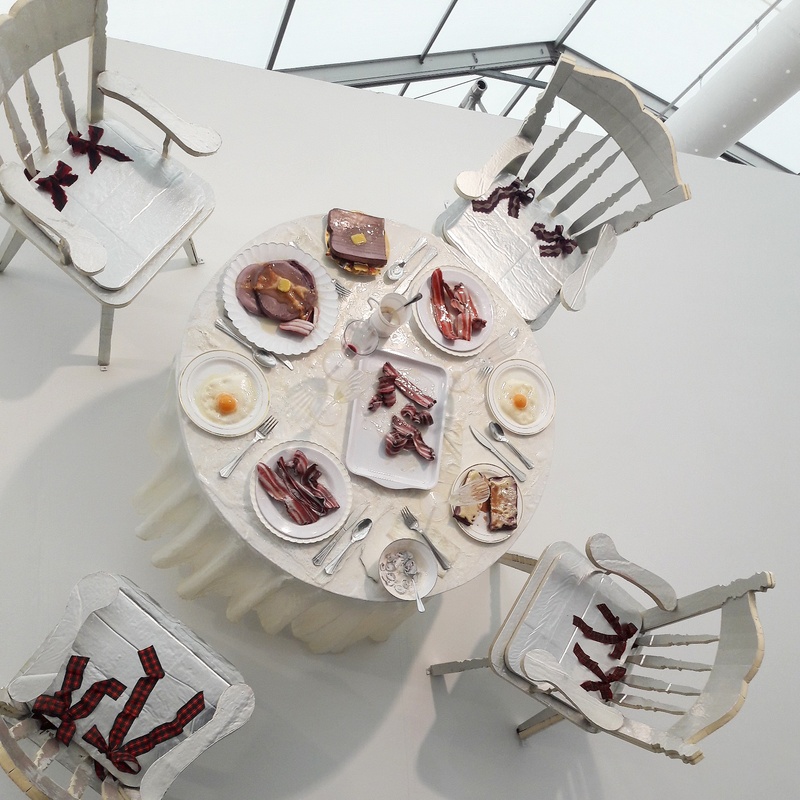 Great photos Eva, I love Hauser & Wirth’s booth! It was really my favourite, you could really feel like in an artist atelier. 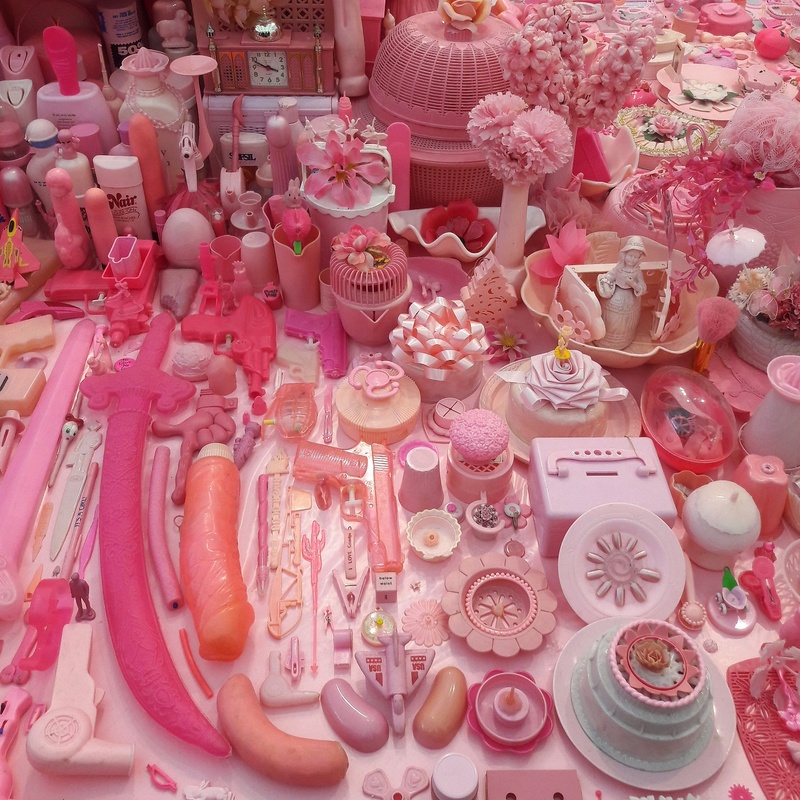 You should really plan a visit to Frieze next year! I do, it’s just easier even though it’s not the best quality. 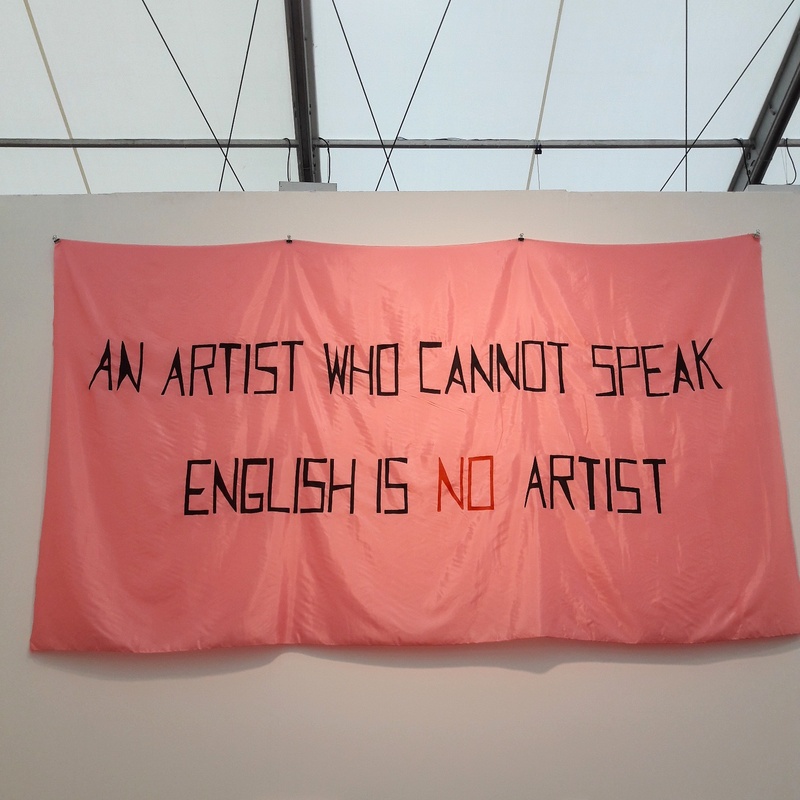 Frieze London is so much better than Frieze NYC. I think I will come back every year.